"The Ghost Army of World War II describes a perfect example of a little-known, highly imaginative, and daring maneuver that helped open the way for the final drive to Germany. It is a riveting tale told through personal accounts and sketches along the way—ultimately, a story of success against great odds. I enjoyed it enormously." "Brings to life a whale of a tale of World War II innovation – one laced with brash creativity. The notion of a special Army unit using dummy equipment, mobile loudspeakers, officer impersonations and foul rumors to deceive German forces seems outlandish, but the tactics worked. This theater-goes-to-war story is finely told, beautifully illustrated, an important contribution." "Five very big stars to The Ghost Army of World War II, by Rick Beyer and Elizabeth Sayles. A beautiful and wildly entertaining book that captures the spirit of the courageous and innovative men of the Ghost Army. It is also an astonishingly complete visual record of the American GI’s experience from training to deployment in the European Theatre during the Second World War. An important book -- every school and public library should add this to their collection. And likewise, every WWII history buff will want to have it on their keeper shelves to read again and again." 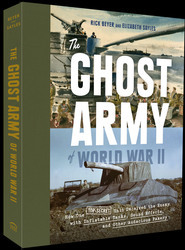 "Rick Beyer and Elizabeth Sayles’ The Ghost Army of World War II is a fascinating read, and a fun one as well. The well-paced narrative belies the substantial research behind this unusual story, of the top-secret unit that “deceived the enemy with inflatable tanks, sound effects, and other audacious fakery”. And audacious is the right word for this daring side show that protected Patton’s flank and other American soldiers. Plus, the original art is superb, and frequently humorous. I knew about the efforts to distract the Nazis with a buildup of fake armaments in Britain prior to D-Day, but I never knew about the multi- talented GIs who continued this “magic show” in Europe. This book is a well-crafted account of the amazing combination of shenanigans and tremendous courage that characterized the Twenty Third Headquarters Specal Troops." -Libby O'Connel, Ph.D., Chief Historian, the History Channel, author of The American Plate: A Culinary Hstory in 100 Bites. "This book is a complete delight. An engaging account of the battlefield sleights of American GI artists during WWII, it is unprecedented in the breadth and detail of its telling. The suspense of its text is enlivened by a wealth of on-scene photographs, artists’ sketchbooks, diaries and other compelling first-person accounts. 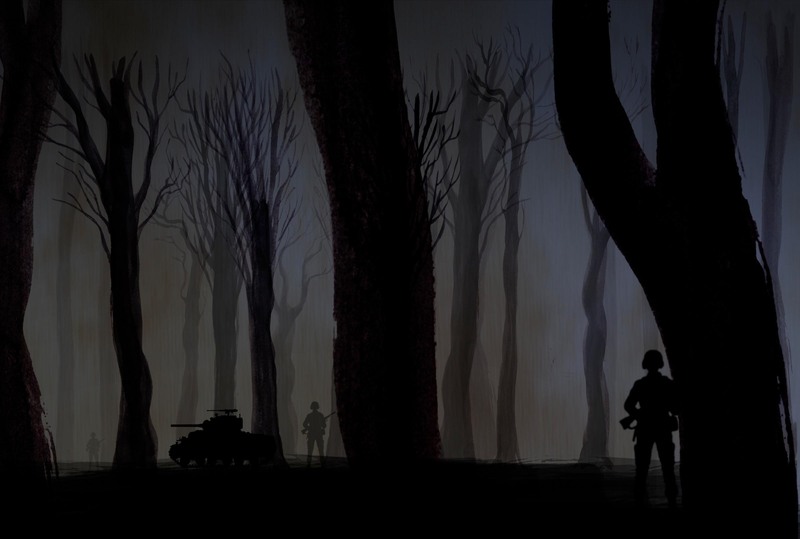 This is the eyewitness story of the Ghost Army as told by the artists who made it succeed."